Established series, they are the life blood of many industries. They give companies a reliable way to make a profit while they experiment with on different products. Without a good series many companies would have gone under long before their time. Done right a series can endear itself to generations and bring up fond memories in conversation. Too bad it is rarely done right. Investors want to know they will get a decent return on their investments. They will happily beat a series to death just to resurrect it and beat it again. There are many different series. Being a (mostly) gaming blog we are going to focus on games, but some other things may slip in. Now where to start? 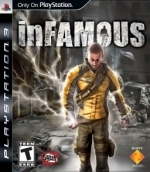 I am going to start with the short lived (so far) inFamous series from Sucker Punch. It has a total of two full games and one DLC game that tell the story of Cole MacGrath. The series was short, it has not see a ton of spinoffs, and to me it was well designed and well written. But it is young so far, and while it was given a fairly definitive ending, that means nothing in the world of science fiction where they get to make up the rules. They could write that [BEGIN SPOILER ALERT]﻿﻿ ﻿Cole's corpse was struck by lightning at the end of inFamous 2 and it brought him back to life [END SPOILER ALERT]. This would allow them to milk the cash cow a bit more, but could irritate fans that are at peace with the games ending, and allows them to feel like their choices really mattered in the long run. Then there is Mass Effect. So far the Mass Effect universe has seen a decent amount of additional content added to it. We have the three games, a comic series, and an animated movie that is in the works. Each of these has added to the world they created. They have in depth story telling and keep focused on the Mass Effect world. While there is a certain lot that is unhappy with how the series ended, overall it was extremely enjoyable. Something also nice is that between games the basic gameplay did not change between iterations of the series. Next up is Halo. This game did help redefine shooters on the last generation and, while being criticized for using the same room several times in a row, did seem to tell an interesting story in the first three games. 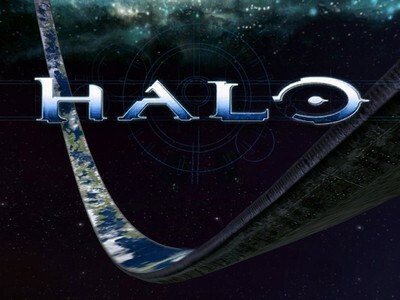 Since the series inception it has birthed novels, an RTS game, and two sequels that did not involve Master Chief, Cortana, or anyone from the first 3 games really. But you did get to see what happened on earth during Halo 2 and find out why there is only one Spartan in existence. But now this series seems to be stretching a bit thin. Currently the series is with a new developer and 6th game labeled as the 4th game is coming out this fall. With this pattern we can only expect them to keep beating this horse. Star Wars. Here we have the rock from which some much blood must be wrought, and about 1/4 of the time they succeed. When it came out in the 1977 Star Wars was loved by the masses. The following stayed true in The Empire Strikes Back and Return of the Jedi. After that the series was in the realm of the fans. Books were written and video games programmed. Try to find one older geek (lets say mid-20's) that did not play at least one Star Wars game here they made the run on the Death Star in a X-Wing. Then in 1999 geeks everywhere felt a cringe, like a thousand voices calling out and complaining at once, The Phantom Menace was released. This is, putting this lightly, not the most favorite film for most people. It introduced Jar Jar Binks and started the story of Anakin, a story that was not really needed. Darth Vader was evil, ruthless, and a force to be feared. After the prequels concluded he was not near as frightful, he was pathetic. Now it is a crap shoot on what is good and what is not. Star Wars: The Clone Wars continues explaining who Anakin turned evil, again not needed in my opinion. We have had a number of Lego: Star Wars games, two Star Wars MMO's, and Kinect: Star Wars (I will get into that in a different article). Now a series that was universally loved (except by die hard Trekkies) is split in camps of if it still deserves their time of day. So what is my point here? A series, done well will still be loved. But if taken too far, if taken advantage of, you will start to fragment your audience, and lost some in the process. I am going to continue using Star Wars for my example. I am really enjoying Star Wars: The Old Republic. But I think that this is more due to the way BioWare was able to tell the story. If it was in another sci-fi universe I think I would be just as happy, bit it would have been harder to get him in. But then at the same time I have not purchased the Blu-ray box sets nor do I watch the animated TV show (which has nothing to do with being animated, typically that would be draw for me). Another friend of mine feels so betrayed by how the series was changed he refuses to spend money on Star Wars merchandise. This is an example of the series taken too far. What do you think? Do you have a series that you think was taken too far? Or is there one that you want to see more of? Sound off in the comments on your opinion.